Kerri Resnick is an art director, currently working at St. Martin’s Press in New York City. She is responsible for the stunning design of the recently revealed book cover for author Therese Anne Fowler's A Well Behaved Woman. Resnick was kind enough to answer a few questions about the design. Could you tell us a little about the book itself? Where and when it takes place? 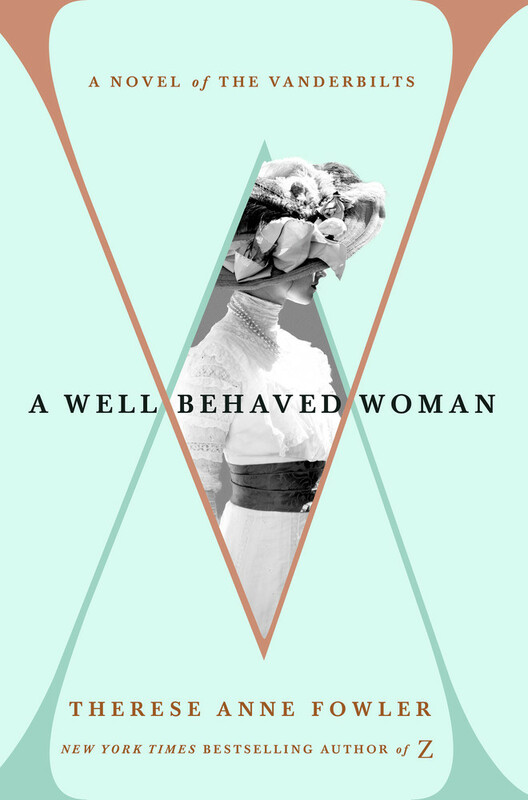 A Well Behaved Woman is a novel that centers around Alva Vanderbilt. It's set in the late 1800s in New York City. Are there any things you do differently when designing for historical fiction? Historical fiction is always challenging because the cover needs to be historically accurate. The details are really important so I'll first do some research about the time period, paying special attention to the clothing, style, and overall mood. I take all of this research into consideration when choosing images and typography for the cover. What sort of research did you do for this project? I started by researching Alva Vanderbilt to get a better sense of who she was and also what she looked like. Finding the woman for the center of the cover was the most time consuming part of my research. Using stock imagery for historical fiction can be difficult, but this was particularly tough because the woman needed to echo Alva Vanderbilt's look and style. This being a novel, I was not limited to an actual photo of Alva which was a big help. One thing that really stood out to me were the big hats from this era, so I wanted to incorporate that. It took a while, but eventually I found the perfect photo by Richard Jenkins. I also took time to find an appropriate font for the overlapping A and V on the jacket. I wanted something elegant that would look like part of the art rather than just a font. I take it the main emphasis on the brief was on tying in with the original cover. Were there any other covers you looked to for inspiration? Olga Grlic designed the iconic jacket for Z, so this was a tough act to follow. Z is one of my favorite covers...well, ever...so I was really excited (and nervous!) for the opportunity to work on this book. Our publisher wanted the design to follow the look of Z but in a fresh way. Another art director suggested the idea of overlapping the 'A' and 'V' which was so helpful and got the ball rolling. One of the best parts about working in an art department is having other designers around to help with ideas. Honestly I didn't look at too many other covers since we had a fairly clear design direction. I pretty much just obsessively looked at Z. I was also given advice and feedback throughout the process from Olga, who was nice enough to respond to my annoying texts during her maternity leave. I love the colour palette! How did you get to these colours? Thank you! I experimented a lot. My first instinct was to go with a darker palette since Z was so light. I tried a few covers in burgundy and deep blue, but my creative director and I both agreed that the dark colors were not quite pretty enough. Once I opened myself up to trying lighter color schemes the mint happened pretty quickly. It's actually one of my favorite colors and I feel like it has the elegant Tiffany's vibe that we were looking for. I also plan to use a copper foil on this jacket which will complement the mint well. Do you have any images of your process, or alternate covers? I unfortunately can't post my outtakes because they use unlicensed images. They're all somewhat similar, using different women and some alternative colors and fonts. As far as my process, I sadly don’t have my sketches anymore either! I recently did a major cleaning of my desk and they didn’t make the cut. Most of my sketches were just figuring out how to place the type. Lots of overlapping Vs.
Are there going to be any interesting finishes like foiling or spot UV? Yes! I'm really excited about the effects on this jacket. We are printing with four flat colors (this will help to keep that beautiful mint color in the background), copper foil on the V, and spot gloss. The jacket will have a soft touch matte lamination and we will be able to print the foil over the lamination so it won't lose any shine.